WASHINGTONSen. Rand Paul made his latest threat Monday to delay nominations, this time President Barack Obama's picks for vacancies on the Federal Reserve Board. Paul, R-Ky., said he would slow work on all three Fed nominees unless Democrats allow a vote on his bill giving Congress more oversight over the central bank's actions. 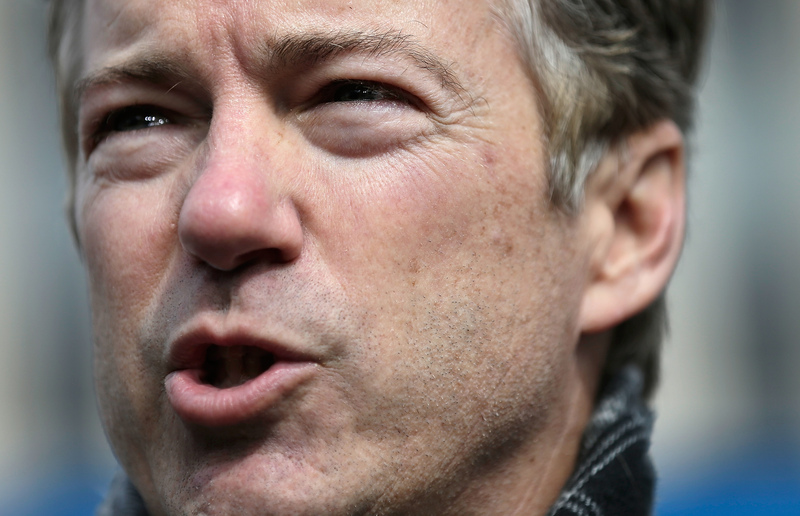 Paul, considered a 2016 GOP presidential contender, said his bill would bring "much needed transparency" to the Fed. It would eliminate curbs on Fed audits by the Government Accountability Office, Congress' investigative agency, and allow greater oversight by lawmakers on Fed actions including the money it has been pumping into the economy to reinforce the slow-moving recovery. Critics have said the measure would increase the risk that lawmakers would put political pressure on Fed decisions. Obama has nominated Stanley Fischer to become Fed vice chairman, and Lael Brainard and Jerome Powell to become Fed members. The three are expected to eventually win Senate confirmation, whatever Paul does. Under changes Democrats pushed through last November to the chamber's procedures for ending filibusters, or procedural delays, only a simple majority is needed for most nominations, not the previous, harder-to-reach threshold of 60 votes. Democrats said Paul's threat would have no real impact. "This is completely predictable but effectively meaningless since Republicans are already obstructing virtually all nominees," said Adam Jentleson, spokesman for Senate Majority Leader Harry Reid, D-Nev.
Paul is no stranger to the practice of threatening to hold up nominations. It has become an oft-used tactic in his quest to seek information or votes on other measures. In October, the Kentucky Senator threatened to hold up the nomination of Fed Chairwoman Janet Yellen in order to force a vote on the same legislation. She was ultimately confirmed , but not without falling victim to the Senate's ongoing fight about the procedural rights of the minority party. Paul's most high-profile filibuster was a 13-hour speech on the Senate floor to protest the Obama administration's drone policy. It briefly delayed a vote on the confirmation of CIA chief John Brennan, who had helped develop the drone program. In recent days, Paul has also said he will delay Senate work on the nomination of an Obama nominee to a federal appellate court in New England. Paul is objecting to the nomination of Harvard Law School professor David Barron to the 1st U.S. Circuit Court of Appeals in Boston until the White House releases memos Barron wrote that provided the administration's legal justification for killing U.S. citizens allegedly helping al-Qaida. Barron was a top Justice Department legal official at the time. The White House is allowing senators to read two such memos.